← Can I combine PDF files free online? Question:I have MS Word, Excel and PowerPoint files that I would like to merge into one giant file. My plan is to PDF all the files and merge them. The only problem is that the Excel and PowerPoint files are formatted in Landscape and the Word docs are in portrait. I would like the overall file to keep the printing formats of the individual files. I haven't been able to figure out it so far. My one big file is squeezing everything into portrait format and it's ruining the Excel worksheets and PPT presentations. Converting the files into PDF and merging them into one document isn't the issue. My question is how can I merge PDF that are in two printing formats; landscape and portrait? Some of the pages will be in landscape and some are in portrait. I want them to remain that way. Right now, when I merge the PDF, everything is in portrait, including worksheets and slides that should be in landscape. Is there a solution on VeryPDF? Answer: According to your needs, maybe you can have a free trial of software VeryPDF Merger Cloud API, by which you can merge PDF of Landscape and portrait remaining the same. If you would like to change PDF orientation, this software also can help you rotate it in some degree during the merging process. During the using merging, this API allows you to choose merging page range, so you can control the rotation applied page range. By those functions, you can control merging PDF rotation applied in specified page range. I guess your problem could be saved. Please check more information of this software on home page, in the following part, I will show you how to use this software. Merge PDF and control rotation within browser. All the VeryPDF API could work without any third party application installed except one browser. So it is quite easy and convenient to operate. By the above URL, we can merge two PDF files into one. Normally speaking, when merge PDF by this API, it will not change PDF orientation. Please check one example from the following snapshot. 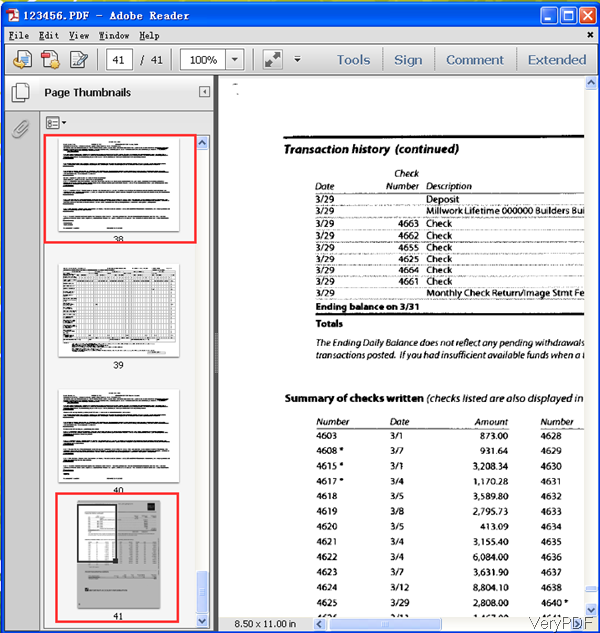 There are either landscape page or portrait page in the PDF file. So when merging PDF by this software, it can help you retain its original orientation. However, maybe there will be some exception. When meeting some ones which can not be merged properly, please use the following parameters to correct the orientation. I guess by those parameters you can merge PDF of landscape and portrait without any problem. During the using, if you have any question, please contact us as soon as possible. How to embed PowerPoint into website? This entry was posted in VeryPDF Cloud API and tagged merge PDF. Bookmark the permalink.